featuring photo highlights from Spring 2010 to Spring 2011 performances. Join us for a family-friendly festival featuring Central Asian music and food as well as hands-on art and textile activities. 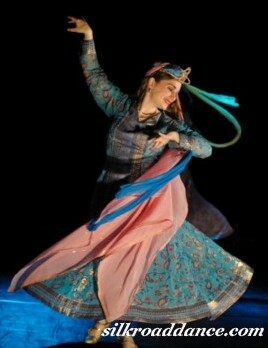 Enjoy a fun exploration of Central Asian dance led by members of the Silk Road Dance Company. 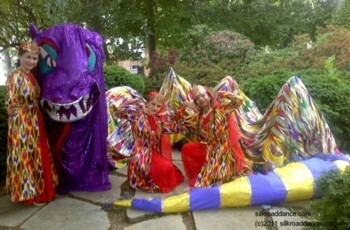 Take part in an energetic dance circle or test your ability to work with others by animating a huge dancing dragon inspired by Uzbek legends. Free; no reservations required. This epic romance is a visual treat, taking viewers to seven different cultures. Based on the 12th century poem by Nizami Ganjavi, the tale fells of the young warrior Bahram Gur who enters a mysterious, locked room to discover the portraits of seven beautiful princesses, each from a different land. After he wins a kingdom and achieves great wealth and power, he remembers the maidens and sets out on a quest to bring each to his kingdom, commissioning the architect Shideh to build seven domed structures – one for each bride. 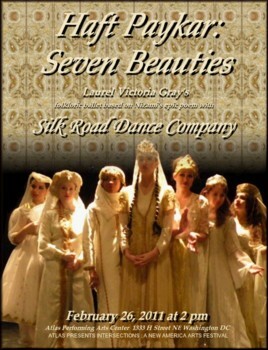 Silk Road Dance Company will perform at this festive event. Tickets are $200.00. Co-sponsored by Meridian International Center and THIS for Diplomats in collaboration with Cultural Tourism DC and Higher Achievement, the Fifth Annual International Children’s Festival is a Passport DC signature event held on May 21 from 10 am – 3 pm at the Meridian International Center located at 1630 Crescent Place, NW, Washington, DC 20009. The festival introduces the next generation of global travelers to cultures around the world through a day of international dance and music performances and educational activities hosted by local embassies and performance artists. Silk Road Dance Company participated in this elegant event with our signature Persian Wedding Procession and dnce perfomances. Pennsylvania Avenue between 12th and 14th Streets NW, in front of Freedom Plaza and two blocks from the White House. 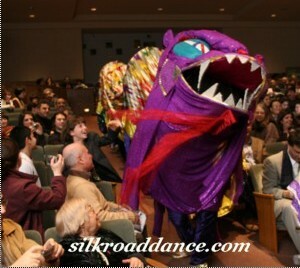 Silk Road Dance Company returns once again to the event named as DC 'c Best Festival! 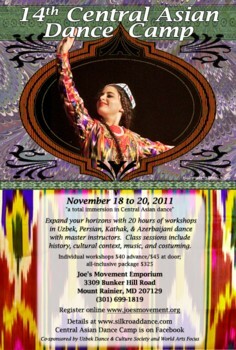 The 3-day dance CENTRAL ASIAN DANCE CAMP includes the day-long Silk Road Dance Festival on Saturday, November 19. Open to the public , as well as CADC camp participants, the Silk Road Dance Festival features a bazaar, a Central Asian teahouse, a fashion show and workshops. 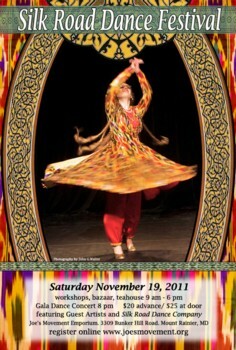 The festival culminates in a concert featuring the guest artists and the Silk Road Dance Company. This year, CADC participants will be introduced to the basics of Uzbek, Persian, and Kathak dance. They will learn Azerbaijani and Uzbek choreographies. Class sessions include history, cultural context, music, and costuming. In addition, students will study the Uzbek “Doire Dars,” a demanding Uzbek dance etude incorporating fundamental elements such as traveling steps, arm movements, turns, as well as shoulder and head movements. just 2 blocks from Washington DC city limits! Enjoy a day of immersion into the dance and traditions of Silk Road cultures. Workshops begin at 9 am and include Uzbek and Kathak dance. 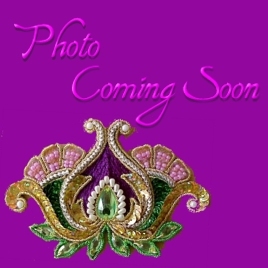 A bazaar and teahouse - ''Chaikhona'' - will recreate the colors and flavors of the East. A gala evening concert beginning at 8 pm will feature the award-winning Silk Road Dance company and special guest artists.